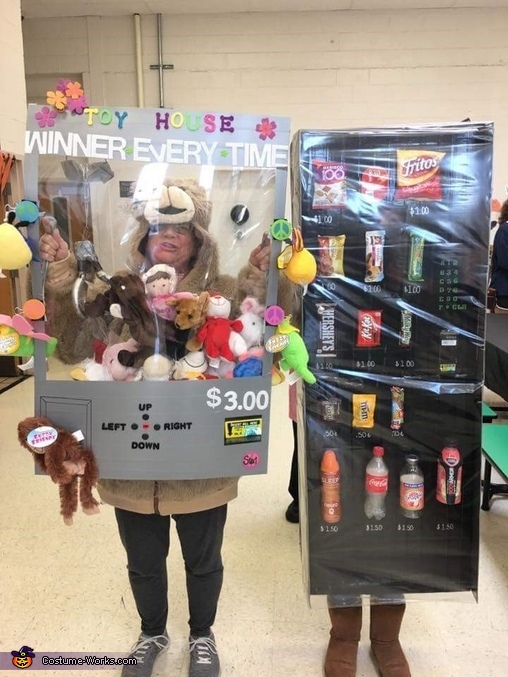 My daughter, Meg Hemmerle, is wearing a vending machine, you can see her eyes in the cutout on the front. I am a claw machine. My father was a bubble gum machine ( not pictured). We wanted to be similar but different.